I’m sure you’ve seen them, mood-boards. Also known as inspiration boards, right? and if you’ve been wanting to make one of your own you are in the right place! 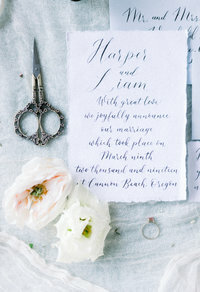 Whether you have an upcoming styled shoot, are in the process of planning one, need inspiration for your home or office; mood-boards are SO handy to have! Mood-boards can serve a number of purposes for each inspiration you have, that’s what I love about them! There are two main places that I use to create my mood-boards; whether it’s for a shoot, or new design/decorating ideas for our home. And yes don’t worry, they’re FREE. all about that free stuff! If you’re ready to make one i’m here to walk you through the process of each one! There are pro’s and Con’s to both Canva & Befunky collage maker, so whichever suits you best is what i would recommend of course. First off, Canva is free AND they don’t send you a ton of junk emails like SO many other places! This is why I am a canva girl and always will be. Now I’m going to walk you through this step by step. If you are using photos from Pinterest all you have to do is click on the pins you want, and right click to save the photos to a specific folder in your PC. You will have to sign up for an account with your email and a password first. Once your in Canva, there should be a search bar at the top of the page, all you have to do is search for “collage” and lots of free templates will pop up. Once you’ve clicked that; you will be taken to the building platform where you can add your photos and anything else you want. To upload your own photos from your computer, on the bottom left hand corner you will see the “Uploads” Button. Once you’ve hit that button, go ahead an click on the “Upload your own images” button. Your now free to choose as many photos as you want! Once all of your photos are done uploading, you will “drag and drop” any of your photos, to the exact places you want them to be. If you need to move the photo up or down within the box that it is already in, all you have to do is double click the image and move it where you desire. Now, IF for some reason there is a filter on your photos. Click the photo one time. Towards the top left of the collage, you will see a bar that has “Filter” on it, once you click that, there are lots of filters to use, or you can put the photo back to normal. Go ahead and hit download and your collage will automatically set itself into your downloads file on your PC. Befunky collage can be a little easier to maneuver in terms of mood-boards and how quickly you can add and resize photos. But the templates aren’t quite as chic and cute, like Canva’s. Here’s the steps to walk you through Befunky collage! The default template has 9 boxes/cell’s. 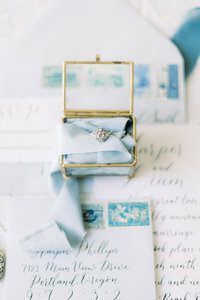 Which i personally always use for styled shoots, to show inspiration photos for each vendor. If you want to change templates or layouts, the left hand side of your screen has those options, feel free to play around with them and make them your own! When you’re ready to add photos, The icon on the top left, when hovered over will read “Image Manager” That’s your golden ticket! The blue “Computer button” will allow you to search all your computers pictures and folders, all you have to do is click on your photos to upload them. Just like canva, Befunky has the drag and drop capabilities for your photos, and if you want to change them, just click on the photo and move it where you desire. As for resizing images, click and edit the “resize” button that pops up. After your collage is done, hit the save button on the top of the screen, you can save it to your computer, in any folder you wish or rename it (which makes it easier to find than canvas). Here is my most recent Mood-board from Befunky, for my shoot in June I am working on! 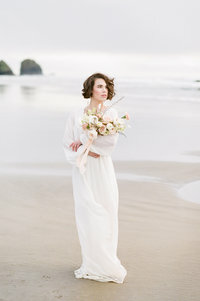 And again, Stay tuned next week for my top tips on how to curate your team of vendors for a styled shoot!